Investigators at the BC Securities Commission thought they had finally got their man when they cornered Mark Goldman. The head of Tri-West Investment had stolen more than $2-million from the public through an elaborate online investment fraud. Armed with complaints from scores of aggrieved Canadian investors who had fallen for his false promise of high-return securities, the commission sent what it thought was a powerful message of deterrence in November, 2001, hitting Mr. Goldman with a hefty fine and a lengthy ban from the markets. In the end, Mr. Goldman didn't even bother to show up for his hearing. It was case closed. Or so they thought. One year later, arrests in Costa Rica netted a cadre of white-collar criminals who were conducting stock scams across North America. Among the revelations that came to light in 2002: Mark Goldman wasn't a real person. The man B.C. 's stock-market regulator had brought to justice didn't even exist. Had the real person behind the scheme, Alyn Waage, not been hunted down by U.S. investigators in Central America, he would have gotten away cleanly. But Mr. Goldman wasn't the only fabrication. Mr. Waage, a Canadian, had assembled an entire boardroom of imaginary people, including Tri-West executives Jason Kingsley, Alan Richards and Alex Haarlem, who also never existed. The case is one of dozens that The Globe and Mail uncovered in a year-long investigation into securities enforcement, in which Canadian regulators have been stonewalled by tactics as simple as a name change. When Mr. Waage pleaded guilty in California to fraud and international money laundering in 2003, U.S. attorney John K. Vincent called the $60-million (U.S.) scam one of the largest of its kind. American authorities moved immediately to repossess millions of dollars worth of real estate in Costa Rica and Mexico, as well as "a yacht, a helicopter, over a dozen cars, and millions of dollars in bank accounts in Latvia, Mexico and Costa Rica." Back in Canada, the BCSC had a serious and potentially embarrassing problem on its hands. All along, the B.C. regulator had been unsure of Mr. Goldman's identity: "Whether [the names] are aliases for Mr. Waage is not something we are in a position to prove," the commission said. But in 2004, after Mr. Waage was sentenced to 10 years in prison in the United States, the Canadian regulator went about updating its case file: "It turns out …" the commission began, "… that the individuals behind Tri-West" were not who the BCSC thought they were. And with those words, the regulator moved on. Perhaps it's no surprise that, 16 years after the fact, the $133,803 fine levied against Mr. Goldman in B.C. remains unpaid, and investors have yet to recover a cent of their money. Mark Goldman still appears on the BCSC’s unpaid fine list. It is a glaring example of an enforcement and deterrence problem within Canada's securities industry, where regulators too often are choosing easier convictions with unenforceable penalties, instead of pursuing difficult investigations that serve to clamp down properly on such offenders. But the problem is not only that regulators are pursuing weaker convictions, they also appear unable to keep tabs on perpetrators as they move across the country – until it is too late and more financial damage is done. The Globe investigation that combed through thousands of disciplinary cases at securities regulators across the country found 71 distinct examples where offenders using a fake name have created disproportionate problems for investigators trying to track them down. In just under a third of those cases, the use of an alias opened the door for white-collar criminals to commit repeat offences before they were caught, often taking advantage of oversight gaps in Canada's collection of provincial regulators. By analyzing 5,774 case records kept by Canada's securities regulators, The Globe found that cases involving serial offenders are 4.2 times more likely to have used an alias in their bid to escape detection than a person with only one sanction on their file. The case files show aliases are also being employed for so-called jurisdiction hopping, where securities crimes are committed in one province by a person using a name that is discarded before relocating to another part of Canada, under a new identity, to commit further infractions – a method that is surprisingly effective. Other examples include outright manipulation of the markets, where a trader adopts a false persona to inflate the price of a stock transaction, making it difficult for the crime to be detected, let alone investigated. White-collar criminals are exploiting these weaknesses as regulators and police work with limited resources and overflowing caseloads. Several of Canada's securities regulators acknowledge they encounter such cases, though national data on the problem is not available. Individual provincial regulators do have this information in their files, but they don't use it to look for overall trends in the industry. The Globe's data analysis provides the clearest picture yet of how such weaknesses are used to the advantage of the rule breakers, often for huge financial gain. "It's the nature of criminal conduct in general," Doug Muir, director of enforcement at the BCSC, said of the challenges aliases pose for securities investigations in Canada. "But it's a problem we all have to deal with." Alyn Waage, pictured in this file photo, pleaded guilty in the United States to international money laundering in 2003 and admitted to being one of the people behind the “Mark Goldman” alias. Brian Patrick Moloney wasn't registered to sell shares in Ontario, but that didn't bother him. He was in the business of peddling mining stocks to unsuspecting investors, not following securities rules. So when Mr. Moloney spoke to potential investors on the phone, enticing them to buy shares in companies he was touting, he switched to his alias, Brian Caldwell. It was the name his victims knew him by. As a salesman, Mr. Caldwell was relentless, cold-calling his targets repeatedly, sometimes months after they had turned him down on the last opportunity – just to tell them they had missed out on a payday. But there was good news: a new offering had come along, and this was even better than the last. Mr. Caldwell was pushing shares in Goldpoint Resources, a miner that owned "a big gold property in Africa." It was a chance to get in on the ground floor – the shares were priced at 75 cents each, with a minimum buy-in of $10,000. Not merely aggressive, Mr. Caldwell was also effective. Scores of investors bought his sales pitch, and the shares, purchasing amounts that often exceeded the minimum allotment. Goldpoint was a fraud, but the alias proved to be a great way for Mr. Moloney to cover his tracks. When the stock bottomed out and investors realized they'd been duped, any complaints to the Ontario Securities Commission inevitably mentioned the man on the phone: Brian Caldwell. This made the case difficult for OSC investigators to pursue. He also used the name in other parts of the business. When Goldpoint rented offices in Toronto, it was Mr. Caldwell who signed the lease. The alias didn't make Mr. Moloney untouchable. But it certainly gave him a head start on the regulators, including those in Nova Scotia, who were also pursuing him for the same scheme. Securities case files are littered with references to aliases, using the telltale acronym AKA: also known as. It is a sign of how effective this basic act of deception can be, when offenders are able to outfox regulators simply by adopting a new identity to commit more of the same crimes. By the time the regulators step in, investors' money is often long gone. 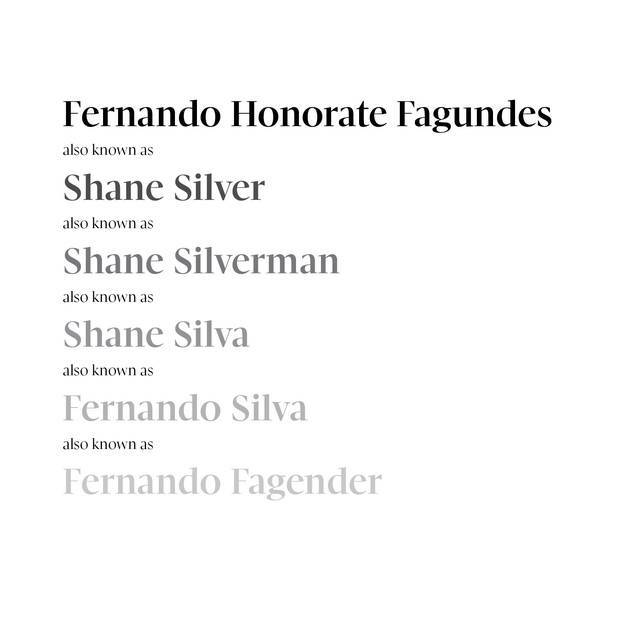 Fernando Fagundes, a stock swindler who has been sanctioned by multiple securities regulators in Canada and the United States, has at least five known aliases on record: Fernando Silva, Fernando Fagender, Shane Silver, Shane Silverman and Shane Silva. This makes investigating his actions complex, since it often involves piecing together a web of alter egos, including the ones not yet known. Meanwhile, there is no clear agreement among regulators on how to combat this, whether it means developing new technology, such as artificial intelligence to recognize patterns in each new case that arises, or adopting better information sharing between them. "People change their names, and will carry on," said James Sinclair, lead counsel for the OSC. "And it is hard to track all of that." When the Goldpoint scheme finally fell apart, leaving investors burned, the investigators caught a break. An employee inside the firm connected the fake Mr. Caldwell to the real perpetrator of the stock fraud – Mr. Moloney. Mr. Moloney was fined $300,000 and jointly ordered to pay another $1.9-million in penalties along with several other Goldpoint directors who were in on the scam. He has yet to pay any of it. His whereabouts are unknown, and an inquiry to one of his former associates went unanswered. 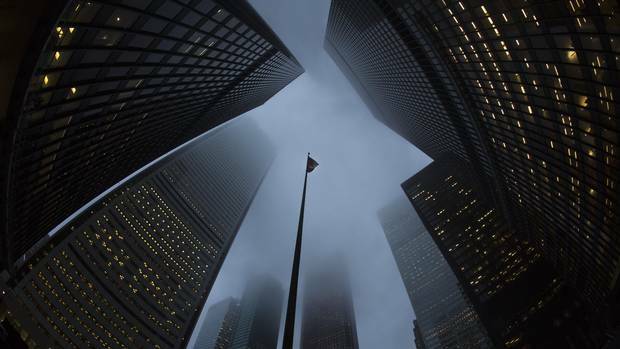 Securities regulators say it is up to investors to avoid becoming victims of financial crimes by checking their websites and that of the Canadian Securities Administrators, an umbrella organization for the financial sector. These sites post lists of past offenders, while others discern whether investment advisers are licensed. "This essential check is not made in the vast majority of cases of fraud," said Sylvain Théberge, spokesman for Quebec's securities regulator, the Autorité des marchés financiers (AMF). That may be true. But a buyer-beware approach to financial regulation doesn't work if the information on these sites is incomplete, hard to navigate, or difficult to obtain. The Globe and Mail found examples of offender information on one province's site that doesn't match that of another regulator. Meanwhile, the CSA website often includes many broken links to case files, and appears to be missing large amounts of data from Quebec. Even the cases that are catalogued on the website can be difficult for investors to navigate, with incomplete or hard-to-understand information that often makes it unclear if the person is in good standing or not. Nor are these websites effective tools for investors to protect themselves if the identities of the perpetrators keep changing. Robert Lee Flickinger II had a name that was tough to overlook. But so was his track record. He was a serial offender in the eyes of U.S. capital markets, having run afoul of securities rules in 2003, 2006 and again in 2007 when the Securities and Exchange Commission ordered him to pay more than $738,000 (U.S.) for selling fraudulent stakes in oil and gas companies. But Mr. Flickinger was undaunted. Rather than pay the fines, he picked up and moved to Canada, opening an office in downtown Vancouver, and unofficially changed his name to Robert Reynolds. The alias, just like the move, was a fresh start. It meant that his next investing targets – and any regulators who tried to figure out his business – couldn't easily uncover his checkered past. The Globe's analysis of 30 years of Canadian securities files found that 63.3 per cent of repeat offenders, or roughly three of every five people who commit multiple white-collar crimes in Canada, have previously been sanctioned in another jurisdiction, or by a different regulatory authority. Mr. Flickinger fit this profile. While the alias helped wallpaper over his previous crimes, he didn't stop there. He also stocked the office of his new company, Northern Pipeline Resources Ltd., with fake people, using three stolen identities from B.C. residents to create a team of fictitious directors. He then concocted fake résumés for the fraudulent executives, and began selling stock in several oil and gas ventures. Using a team of commissioned salespeople who employed aggressive selling tactics, he sold nearly $5-million (Canadian) worth of stock in a company called Gulf Coast Basin, and nearly $1.2-million worth of shares in another named Lavaca III LP. The hundreds of duped investors across Canada who bought the stock had no idea who he really was, nor could they look up his previous record. The investors were told the money would be used to acquire oil and gas properties. Instead, much of it went directly to Mr. Flickinger, though he covered for the scam by paying out roughly $400,000 to investors as distributions, giving the impression that his businesses were generating revenue. 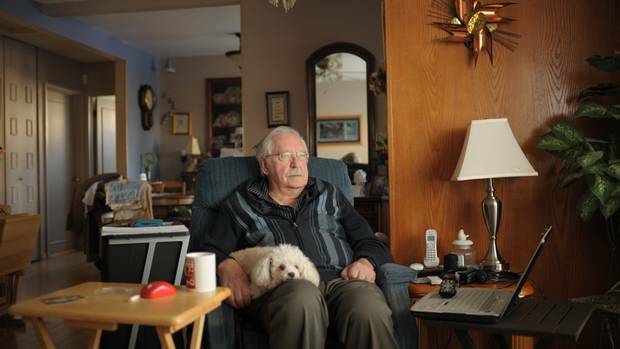 When the BCSC finally figured out who he was, it banned Mr. Flickinger permanently from the markets and fined him $12-million. He was also ordered to surrender $6-million of the money he made. But he didn't bother responding to the allegations, nor did he co-operate with the hearing. His fines remain unpaid, and it is unclear where he is now, or what name he is using. He is part of a rash of repeat offenders uncovered by The Globe's analysis. "Reoffenders are individuals who don't want to play by the rules," said Poonam Puri, a professor of Law at Osgoode Hall in Toronto. "It doesn't matter if they've offended once before – they're going to offend again." Name changes are merely a means to that end. In cases where the white-collar criminal flees, the situation becomes even more problematic for regulators. If the person can be found, the commissions must rely on the police to retrieve them. The costs are not insignificant, and even in the case of a criminal trial for securities fraud, the infraction is not always seen as a priority, compared with more violent crimes. "People change their names and will carry on in different names when there's an outstanding warrant for their arrest," said Jeff Kehoe, director of enforcement for the OSC. "If somebody's using an alias and we find them in Vancouver, you can get them [through a warrant], but there are resource constraints for what I'll call some of the more minor offences. … Let's say for a 90-day sentence, can you spend $20,000 to go and get him?" The convicted securities offender in Canada with the most fake identities, according to the Globe's data, is Ayaz Dhanani, who also goes by six other names – Azim Virani, Michael Lee, Alex Nebris, Paul Dhanani, Samuel Ramos and Rahim Jiwa. Last year, regulators in B.C. caught him orchestrating fraudulent stock sales in Vancouver, collecting more than $180,000 from three investors for what he said was a private placement that would pay off handsomely once the mining and energy stocks went public. But no securities were purchased, and the companies never existed. Mr. Dhanani used the aliases to fill out paperwork, not telling some investors his real name. Nor was he forthcoming or co-operative with regulators. "There is no evidence that Azim Virani even exists," the BCSC said at the hearing. "Dhanani was unable to provide commission staff with any means of contacting an individual of that name." In December, 2016, the BCSC permanently banned Mr. Dhanani from the province's capital markets for what it called "an egregious form of fraud," and ordered him to pay a disgorgement of $188,800, and an administrative penalty of $225,000. So far, the regulator has recovered only $120,000 of his penalty through an asset seizure. As yet, regulators don't appear to have an effective answer to the problem. Sofia Johan, a finance instructor at York University marvels at the ease at which white-collar criminals can flout the regulators. "You change your name," she said. "How difficult can it be?" Beyond illegal stock sales, there are other ways the system is exploited. In the late 1990s, Edward Andrew Durante gave up his job in New York to become a stock promoter in Vancouver. Soon he was making millions. His trick was his alter ego: Ed Simmons. In the summer of 2000, during the height of the dot-com boom, Mr. Durante controlled three publicly listed penny stocks – Wamex Holdings Inc., Absolutefuture.com and UN Dollars Corp. Over the course of several months, he issued rosy news releases embellishing the financial success of each company. Investors had no way of knowing it was a lie. In a red-hot market, the share prices jumped. Before the stocks rose, though, Ed Simmons bought shares. Then, in the wake of each exuberant news release that caused the stock to go up, Ed Simmons sold at a tidy profit. By using the alias to cover his tracks on each trade, Mr. Durante made a staggering amount. Hiding the money in several offshore corporations, Mr. Durante brought in more than $36-million worth of illegal gains. It was only when securities investigators were able to get to his associate, a woman named Gillian Hobson, that they were able to unravel his full identity. Her job was to open trading accounts for her boss, which she did under the alias. She may have been the only person who knew he was also Ed Simmons. In 2004, Mr. Durante was ordered to pay $250,000, along with $26,361 worth of hearing costs. He never paid any of it. But while Canada was fining him, the United States was putting him in jail. For similar stock scams, Mr. Durante served six years in prison. He was convicted in New York after police swooped in and broke up his boiler-room operation. When he attempted a new scheme upon his release – defrauding at least 100 investors of $15-million (U.S.) through improper stock sales of a company called VGTel, he was convicted again in New York. U.S. investigators found him using three new names to hide his past: Edward Wise, Efran Eisenberg and Anthony Walsh. He will be sentenced in February. Some cases should have been easy to spot, but weren't. In the summer of 2008, investors in Saskatchewan were surprised to get a call from what sounded like a giant Wall Street bank. When they picked up the phone, they found themselves talking to representatives of Lehman Brothers & Associates, which claimed to be operating a branch office in Montreal. The men, purportedly investment bankers, said they had obtained a list of shareholders in a firm that a U.S. company was looking to acquire a controlling interest in, and were offering to buy those shares at a significant premium. But in order to take advantage of this offer, the shareholders were asked to wire an advance fee to a Lehman Brothers & Associates account, as a security deposit and for "tax payment" on the transactions. But not only were the company's phone number and address in Montreal a complete fabrication, so was Lehman Brothers & Associates. One of the men behind the scheme was Mike Laymen, who sometimes went by Mike Lehman, and managed to create an entire fictional company around the slight tweak in his name, working the Lehman Bros. scam with an associate named Greg Marks. The company's name should have been a huge red flag: At the time, the real Lehman Bros. was playing a central role in the U.S. debt crisis, and was only months away from declaring bankruptcy. It was ironic to be selling junk stock trades under the Lehman name, but the guise was enough to hook investors – and not just once. In April, 2009, Saskatchewan's financial regulator banned the men from trading, and found them guilty of fraud and unregistered trading. But more than a year after Saskatchewan clamped down, the Ontario Securities Commission issued its own trading ban, after finding the men had conducted the same scheme there, pulling in at least $225,000 in proceeds. "Lehman had no valid business purpose and the proposed investment scheme was a complete fabrication," the OSC said. In May, 2012, the OSC fined the company and the men behind it $438,000. Lehman Brothers & Associates was also banned – but not before the damage was done. Hundreds of thousands of dollars, and possibly much more than that, were missing. In its final comments on the file, the OSC noted: "None of the funds obtained from the investors have been recovered." Canada's provincial securities regulators say they keep close tabs on each other's cases and regularly share data between them that can help track down white-collar criminals fast and target market abusers early. "We alert the public when individuals and companies have been disciplined and when scam artists have targeted Saskatchewan residents," the Financial and Consumer Affairs Authority of Saskatchewan told The Globe. "We also share our information with other jurisdictions so they know what is happening." But after Saskatchewan discovered the scheme, it still took seven months for Ontario to be alerted to the file. It took another 14 months after that for the OSC to finally ban the company in its own jurisdiction. Somehow the case had fallen through the cracks of a system that provincial regulators insist is effective. In addition to maintaining their own lists of offenders, the regulators funnel their case data into the Canadian Securities Administrators, which acts as a central online clearinghouse for regulatory orders. But there are reasons to question how much intelligence sharing goes on between the independent provincial jurisdictions, and whether problems can really be detected before it's too late. The alias problem – a simple example of glitches in the system – is symptomatic of a bigger struggle the regulators face trying to deter such tactics. "In the securities markets, you don't necessarily have to keep on doing business under your own name. You can change your corporate personality, start a new company, or start a new venture," said Cristie Ford, a professor of business law at UBC. "So there's sort of a fundamental data problem." Though several regulators insisted during interviews that they share information openly, it is debatable whether the methods in place are working, or if the data that's shared is being used effectively. The Globe's investigation found evidence that provinces are not keeping up with cases in other jurisdictions, nor are they learning from the mistakes of their peers. When Saskatchewan's securities regulator clamped down on an aggressive investment scam in 2008 involving the sale of fraudulent, unregistered shares to people in the province, investigators confidently named the culprit, and banned him from the markets. The man claimed to be from a company called Harrington Rose Equity Management, which was based in Belize. Perhaps his name should have sounded familiar. Four years after regulators in B.C. were forced to acknowledge they were duped by that fake persona – the name was back, and once again targeting Canadian investors. But regulators in Saskatchewan had no idea whether this Mr. Goldman was connected to the same people who perpetrated the Tri-West scam so many years before. After being informed of the problem in their files by The Globe and Mail, the regulator was surprised. "At the time, we were not aware of the court hearing in the United States and had no information that suggested that the Mark Goldman referred to in our investigation was a fictional person," a spokesman for the regulator said. This is the second of a three-part investigative series on white-collar crime and abuse in the Canadian capital markets. How fraudsters can make millions off Canadian investors, get barely punished and do it again A Globe data investigation of 30 years' worth of regulatory cases reveals a toothless system.